Google, like all major internet companies, often participates in building new subsea cables because it wants to own the connectivity between its data centers around the world. Those cables are typically built and owned by a consortium of companies (and sometimes shared by competitors). 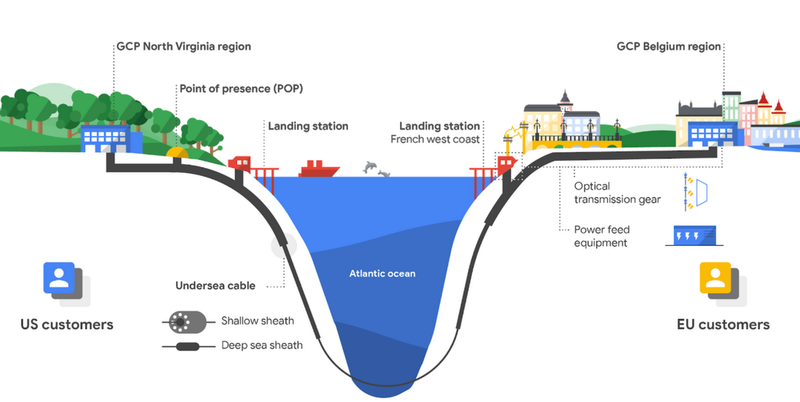 Now, however, Google is building its own cable that will span from Virginia Beach in the U.S. to the Atlantic coast of France. This marks Google’s fourth private cable. Its first two efforts spanned significantly shorter distances, though its “Curie” cable connects Los Angeles and Chile. 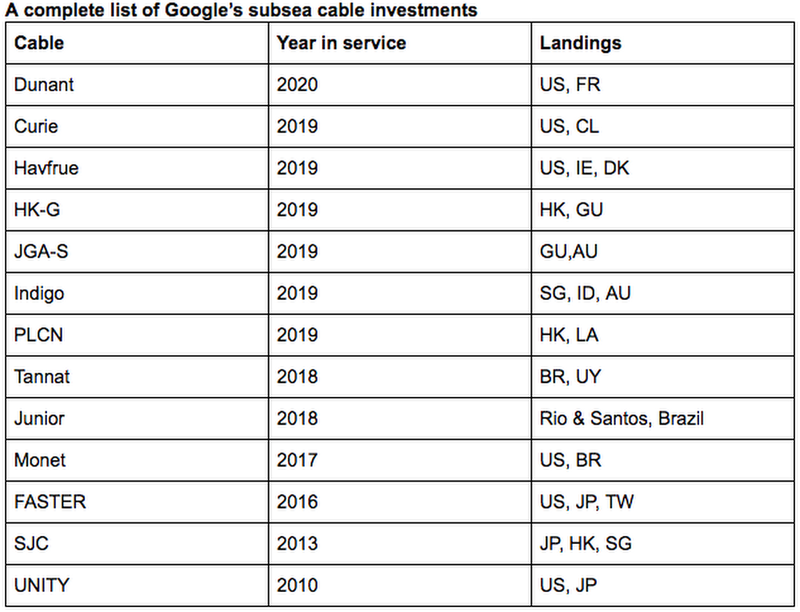 Over the course of the last few years, Google has also made significant investments in consortium-driven cables that span the Atlantic and the Pacific, and quite a few of these will go online in 2019. The new so-called “Dunant” cable (named after the first Nobel Peace Prize winner and founder of the Red Cross) will likely go online in 2020. And while it will land in France, it will actually connect Google’s North Virginia region directly to its Belgium region. TE SubCom is the contractor for the project, which will be an almost 4,000-mile four-fiber pair system. As Google notes, owning the cable means it can lay it exactly where it needs it to be to connect its data centers — without having to take into account the needs of other consortium partners. Owning the cable also means that Google owns all the bandwidth for the lifetime of the cable (usually 15 to 25 years).